The world’s banks can’t skate by with a few innovations here and there. They need to prepare for the digital era of customization. Changes in the way we do business with banks are rarely initiated by banks themselves. Instead, banks are often forced to adapt because of technological advancements that are shifting social culture and customer expectations. Just as mobile technology made selfies the norm, the introduction of new technologies is changing banking as we know it; paying by a social media app or on-demand lending are just the start. Established banks have an array of touchpoints with their customers that generate valuable insights about who their customers are. Yet all too often, banks do not act on those insights and pass up the opportunity to create a great customer experience. Banks should make it a priority for their clients to enjoy doing business with them and to make banking fun. Right now, online or mobile banking is no more than a means to an end—it’s transactional at best. Imagine, though, if customers over age 25 were offered personalized savings plans that addressed the key issues they were facing, e.g. saving for a home or paying off a school debt. Or what if, after making a number of payments to online shops, you received discount vouchers customized to exactly where you shop. Interactions like this are largely still in their infancy, but they represent a pivotal turning point in the bank-customer relationship. Pressure to incorporate new technology isn’t coming from just customer expectations, but also from the rise in competition from financial technology companies, or fintechs. Many of these start-ups focus on technology that captures and processes data in an innovative way. And they’re using this data to offer new services or features to customers that previously banks did not, or could not, offer. Stripe, for example, allows businesses to begin accepting digital customer payments online in just minutes—significantly faster than traditional banks. So, how should banks respond? Going on the offensive is unlikely to help. Instead, global banks should partner with fintechs and double down on a digital business model. An IDC study commissioned by SAP in June 2016 found that one in four banks worldwide see fintechs as a threat. However, the majority of the banks surveyed view them positively: 34 percent regard them as potential partners to offer customers new services, and 25 percent are even considering acquiring these companies. A great example of a fintech bridging the digital gap that could add value for banks is Currency Cloud, a B2B international payments engine powering countless financial firms. They have a unique model, embedding the payments engine solution directly into international companies that need to accept payments, pay suppliers or deliver salaries to employees in multiple currencies. They provide simpler, cheaper, more transparent payments, thereby making international payments easier for all different kinds of payment platforms. Rather than develop this type of service on their own, banks could acquire or partner with a successful service-based fintech such as Cloud Currency to expand their services portfolio without developing the underlying IT themselves. Global banks are typically split into divisions, countries and other factors, which can make it more difficult to have an end-to-end digitalization process. In fact, the same IDC study found that only 25 percent of banks surveyed are in the highest maturity levels of their digital transformation efforts and able to support the level of agility and innovation that the market demands. Comparatively, 43 percent of banks surveyed are in the lowest tier stages of their digital transformation efforts. For these banks, going digital is not simply a matter of replacing computers and software; they have to completely rethink processes across departments. To develop new digital services, banks should first gather insights and reporting on the existing system. Integrated line-of-business (LOB) and IT management disciplines will deliver digital experiences on a continuous basis, as well as allow them to create detailed reports. This will help banks recognize what is working and guide change in areas such as sales, customer support, and management and allow them to make real-time, data-driven decisions. Real-time applications and omnichannel customer engagement translates to new IT requirements for all banks, no matter their size. International banks can get up to date quickly by investing heavily. Midsize and smaller banks face the same problems, yet they can’t afford to transform their IT as fast. One possible solution is an infrastructure with a strong IT core that serves as a secure, closed system handling all existing processes. This can then be coupled with an additional, open system with application programming interfaces that enable users to run their existing core system. That way the small- or medium-sized bank could build new applications as needed over time to offer a better customer experience, without breaking the bank. The world’s banks can’t skate by with a few innovations here and there; they need to prepare for the digital era of customization. Neither customers nor digital start-ups are waiting for them to catch up. Once customers find an intuitive, simple digital-banking solution or service, adoption is rapid. Faced with the popularity of fintech service-based star-tups, narrow updates to front-end features such as mobile apps or website optimization aren’t going to cut it. 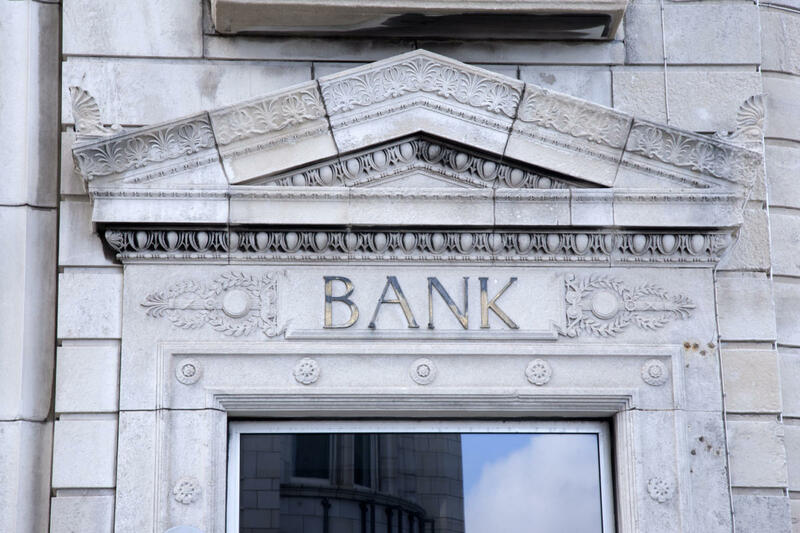 Banks need an integrated LOB-IT management strategy that can allow for both front-end innovation and the automation of existing back-end processes. And no amount of automation will help if banks don’t consider their customers by analyzing customer behavior. This is an exciting time for banks around the world—a time of opportunity and change and the chance to redefine their customer relationship. It’s safe to say that if banks prioritize digital transformation and make this shift, the traditional banking model that we know today will look vastly different tomorrow. Falk Rieker, Global Vice President and Global IBU Head for Banking at SAP, is a senior level financial services professional with over 20 years’ experience in the banking and software industries.